One of the most famous clauses to be placed in a professional athlete’s contract is Michael Jordan’s “Love of the Game” clause. This clause was put into place from his first professional contract, and it allowed Michael to participate in competitive off-season pickup games, regardless of potential liability. This clause fulfilled Michael’s desire to play basketball anywhere at anytime. 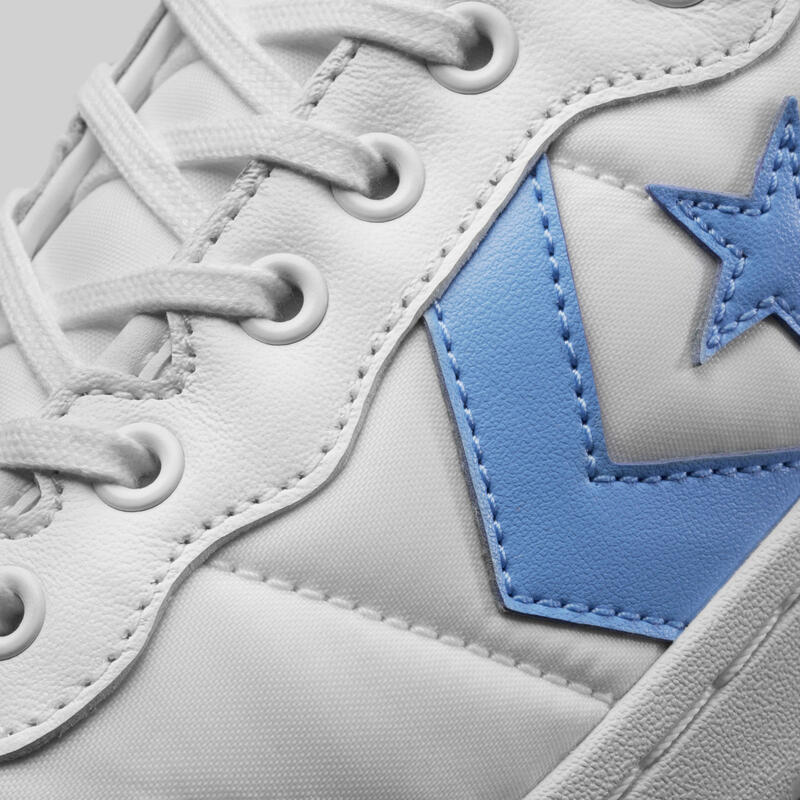 Converse and Jordan Brand is celebrating Michael Jordan’s love of the game of basketball by releasing a collaborative pack featuring iconic silhouettes: the Converse Fastbreak and the Air Jordan 2. MJ was selected third overall by the Chicago Bulls in the first round of the 1984 NBA Draft and his professional basketball career began at that moment. In the summer of 1984, the Summer Olympics were being held in Los Angeles and it marked one of the iconic moments where MJ’s star began to shine on an international level. 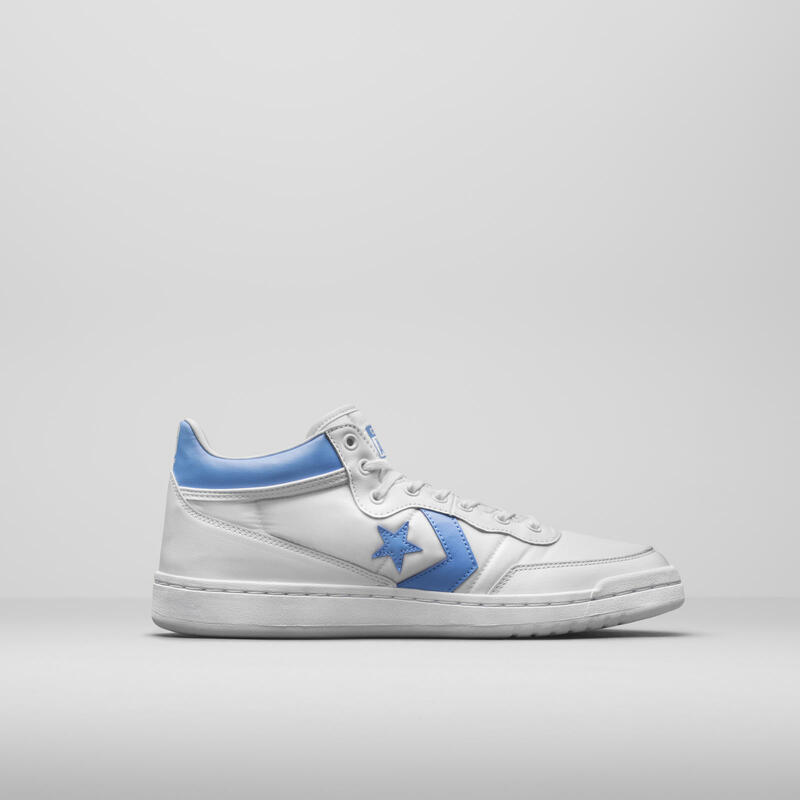 He helped lead the United States to Olympic gold, and to commemorate this achievement, the Converse Fastbreak model that he wore during the Olympics were chosen to be in this pack in his collegiate Carolina Blue. The Air Jordan 2 was a radical design when it was originally released, as it was one of Nike’s first products without their trademark Swoosh branding and the fact that they were made in Italy. 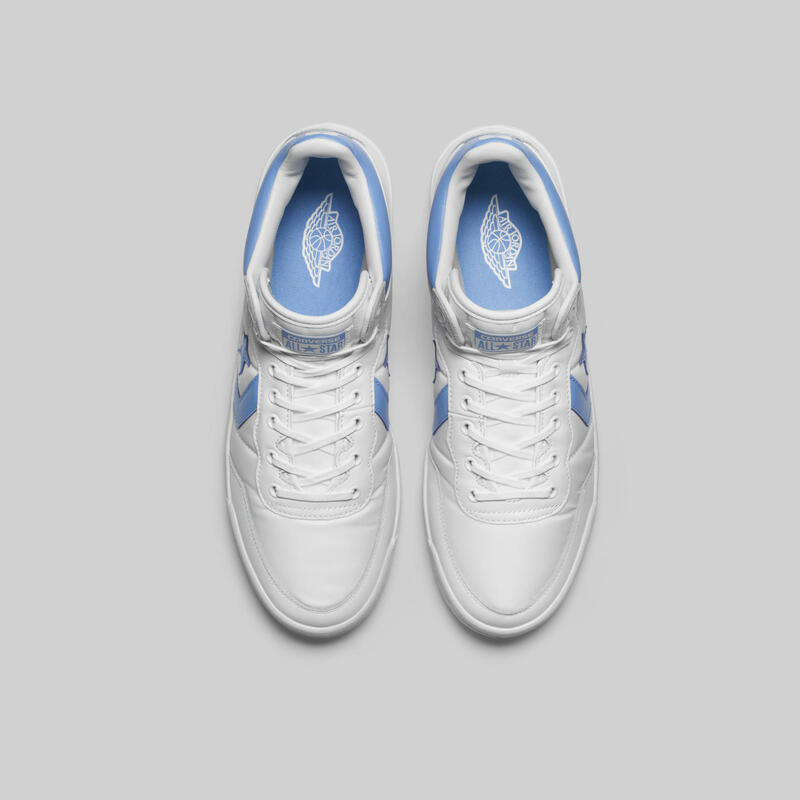 Prior to this release, this colourway of the Air Jordan 2 has been a PE (Player Edition) that was first seen on Michael at the 1986 UNC Alumni game. 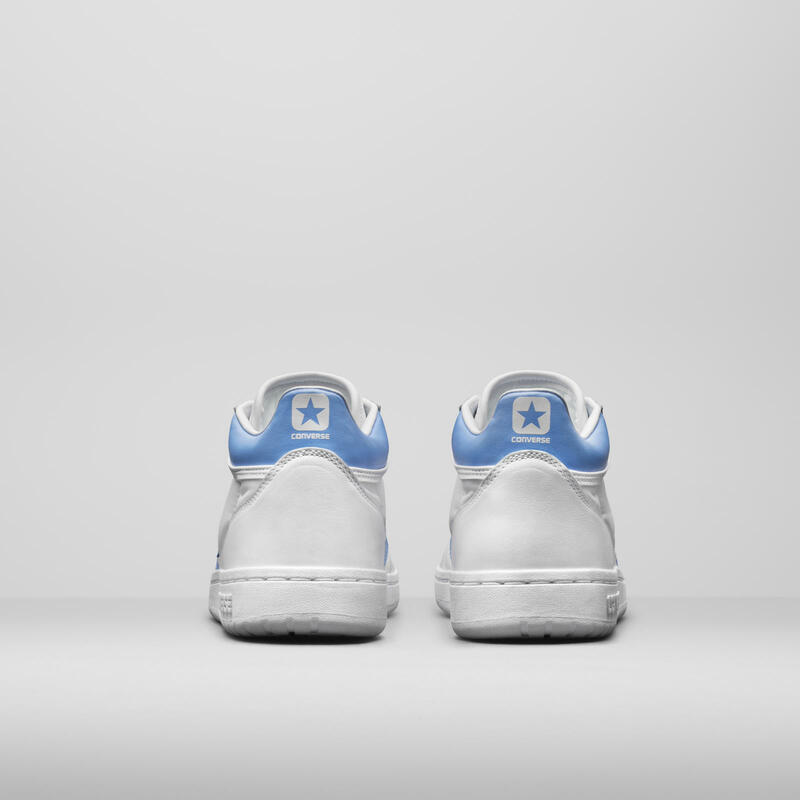 This PE was very similar to the original Chicago home colourway with one significant difference, the Carolina Blue on the heel instead of the Chicago Red. MJ also played in the following year’s alumni game, but chose to wear the low version of the Air Jordan 2 in his collegiate colourway. To commemorate MJ’s participation in both alumni games, the Air Jordan 2 from this pack will feature the original PE colourway from the 1986 game and the date of the 1987 game. 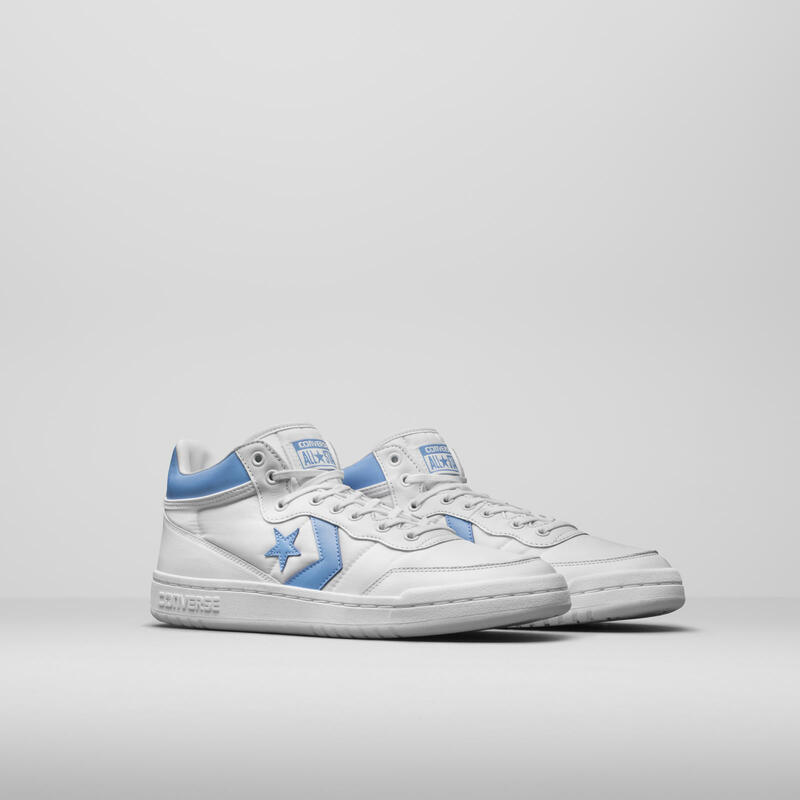 This limited Converse x Jordan 2-pack of the Air Jordan 2 and the Converse Fastbreak will be available on June 28th at Livestock, Capsule, House of Hoops, Footaction and Toronto’s Air Jordan Store for a retail price of $340.